With amazing views of the Northumberland coast and Bamburgh Castle. 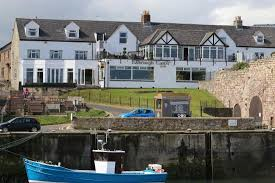 This award winning hotel overlooks the fishing village of Seahouses. A great spot to investigate the coastline with your dog.